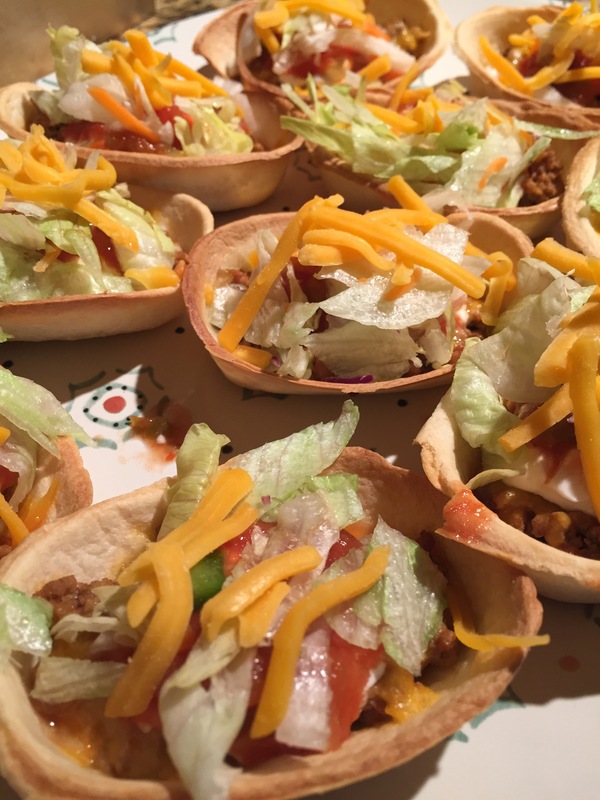 Move over taco Tuesday, taco bowls are taking over my kitchen! I was on yet another grocery run and came across the cutest mini taco bowls. Basically, they’re tortillas made in the shape of mini bowls by Old el Paso. I mean, do I really need to explain myself? I don’t know how long they’ve been around for, but I feel like they were just the thing I needed in my life. I can go on and on about them, but they are definitely great for brunch, lunch, dinner, snacks, teas, taco parties, appetisers, etc. I have so many ideas. I’ve thought of making churro ice cream bowls out of them, fry them and make chalupa style tacos, bake them off and make fruit bowls. I mean, I can literally go on forever, but i’ll tell you what I made them into recently. Although I must warn you, lots of recipes featuring them will be coming! I haven’t listed the amounts because that depends on how much toppings you like to add. For the beef, heat the oil in a medium pan and add the onions and cook them until translucent, stirring occasionally. Then add the garlic and ground beef and cook for about 5-8 minutes, stirring occasionally. Add the taco seasoning, salt and pepper and stir for a couple minutes, then cover and let beef cook on a low flame for about 5 minutes and set aside. Bake the taco bowls on a baking sheet according the the package instruction. Then it’s a matter of filling them up and serving them! If you want to make these as an appetiser or a little before you want to serve them, sprinkle some cheese inside each taco bowl before baking. The cheese will melt and create a barrier between the fillings so the taco bowls won’t get soggy. Or you can do what I did and bake the bowls with the beef and cheese inside! Then add spoons full of the beef, more cheese, sour cream, salsa, tomatoes and lettuce and serve!